Introductory statement can go here. 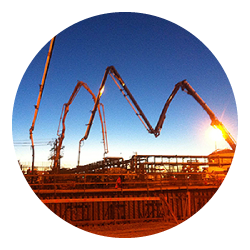 P-Ban has been pumping concrete for Ledcor over the last 5 years at various sites, including Suncor, Long Lake and Albian Sands. They have also provided us with concrete finishers on some of our larger pours. P-Ban has always provided excellent service and have shown a high regard for quality and safety. Lockerbie & Hole would like to thank P-Ban Concrete Pumping for all the help in the projects that we have done in the past years. 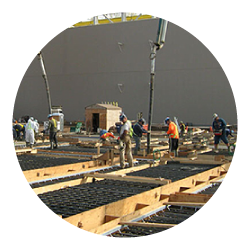 With the industry challenges that are part of every project, they have been a great help in maintaining scheduling, budget and a positive relationship. In the last year, P-Ban has been involved on several projects with us and has delivered pumping and finishing crews at critical times and worked very hard in coordinating all our other needs. The on time arrivals, performance of the crews and supervision has been a great benefit to all involved. Safety is a great concern in the construction field and P-Ban’s knowledge and safety record makes it an asset to qualifying them for any job requirements or policies. 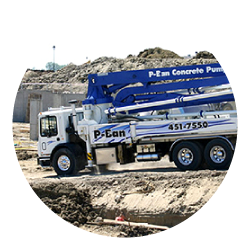 To anyone looking for a concrete pumping and finishing group, I would recommend P-Ban, and look forward to continuing the relationship as we move forward. 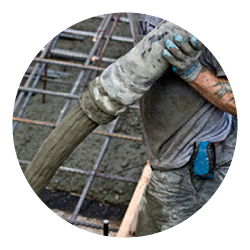 CBS Construction Ltd. has developed a great working relationship with P-Ban Concrete Construction over the past several years. P-Ban has been used on several of our civil projects and always turns out a professional product. 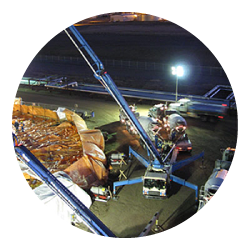 P-Ban has supplied us with both equipment and labour to place and finish concrete and meet all requirements to work in the oil sands. P-Ban has been a reliable and dependable sub contractor who always has a professional attitude in conducting their work. 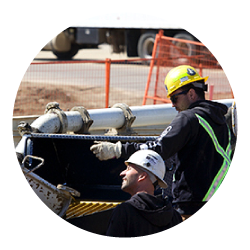 P-Ban has proven to have the capability to handle several large jobs at a time and always meets our expectations. P-Ban is the sub contractor of choice for us when it comes to customer service, billing and reliability in the industry. We look forward to many more years of working together with P-Ban Concrete Construction. Site Supervisor, CBS Construction Ltd. It has been my privilege to work with Terry and the employees from P-Ban on the Syncrude Emissions Reduction Project (SERP) located at Mildred Lake near Ft. McMurray, Alberta. 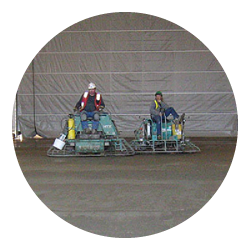 P-Ban further assisted TIC masons with providing experienced finishers for placing and finishing concrete. Their performance was exemplary from both a safety and quality perspective. 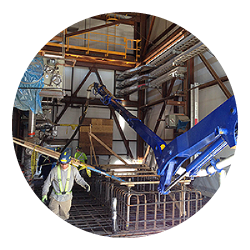 P-Ban’s representative attends every pre-pour meeting prior to each concrete pour. In each case, P-Ban executed the pumping, placing and finishing efficiently, safely and produced a high quality finished product. As the project Quality Manager, P-Ban has exceeded my expectations and I would not hesitate to work with them again in the future.